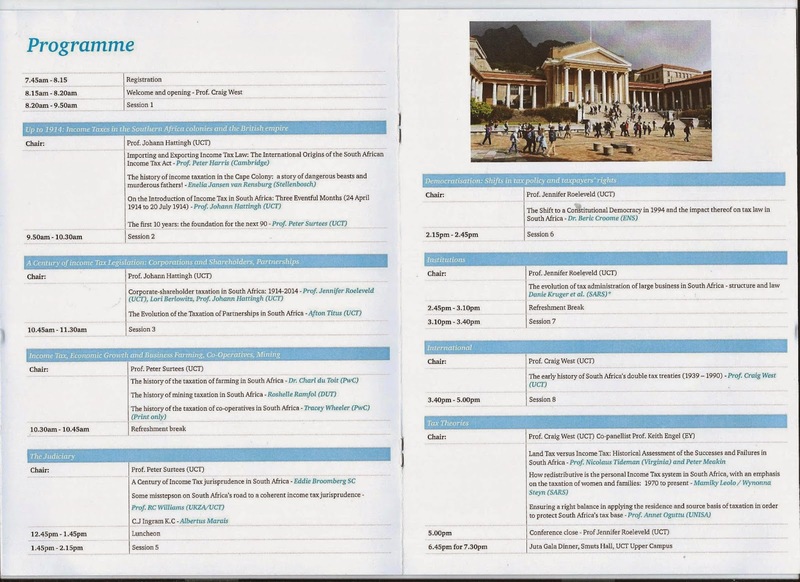 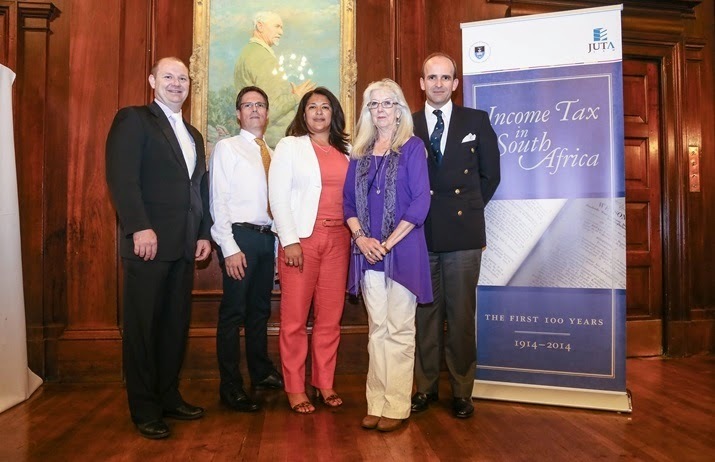 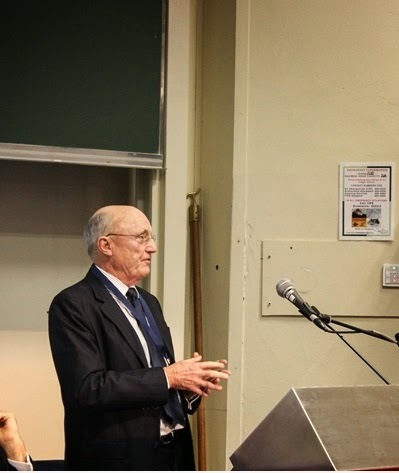 In 2014, twenty years since South Africa became a constitutional democracy , the University of Cape Town marked this milestone since with the "INCOME TAX IN SOUTH AFRICA: THE FIRST 100 YEARS 1914 – 2014" conference. 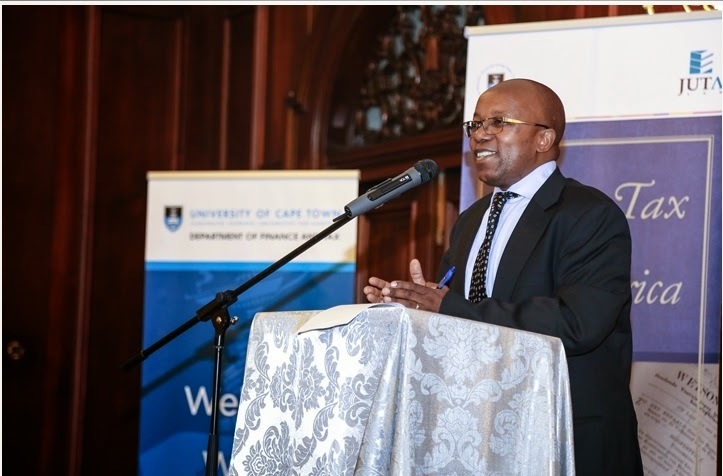 I was privileged to be part of this special occasion and presented a paper called "The shift to a constitutional democracy in 1994 and the impact thereof on tax law in SA." 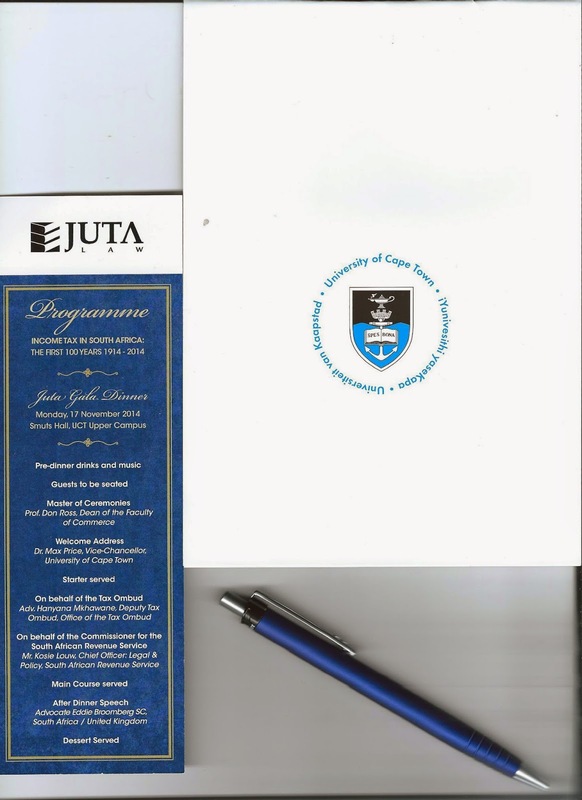 This paper, together with all the other conference papers, will be published in 2015 by Juta's Law, who also hosted the gala dinner. 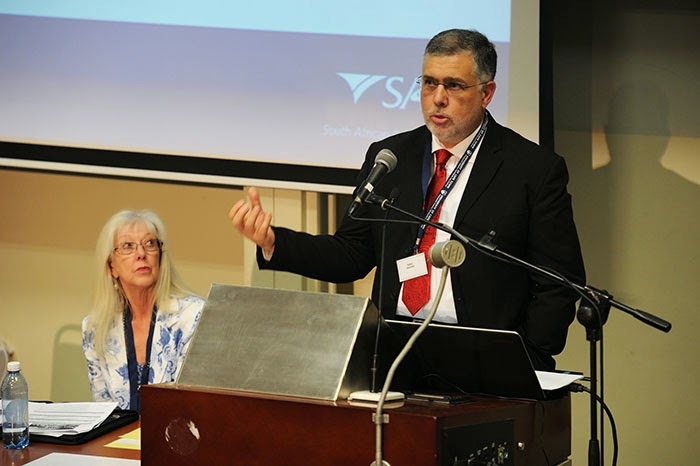 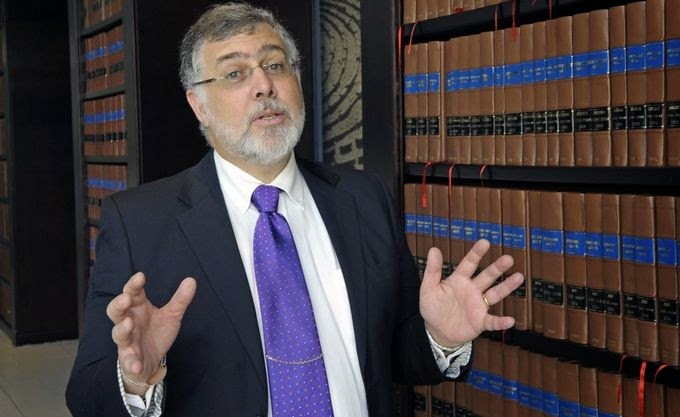 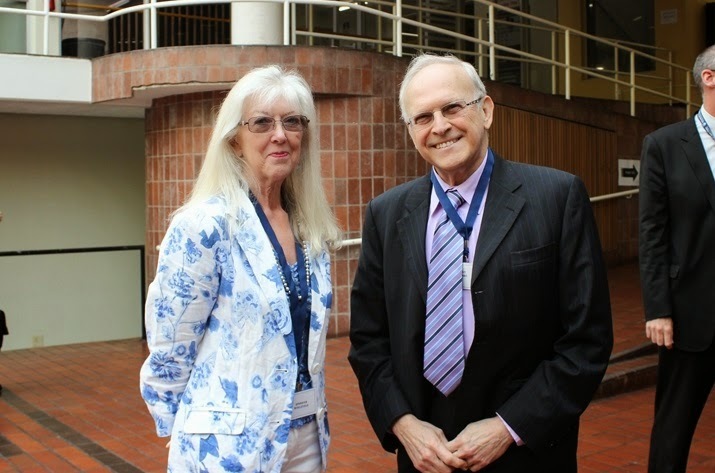 University of Cape Town and a conference organiser chats to Mr Kent Karro, Chairman of Horwath Zeller Karro and Chairman of SAICA's monthly tax journal Integritax's editorial panel. 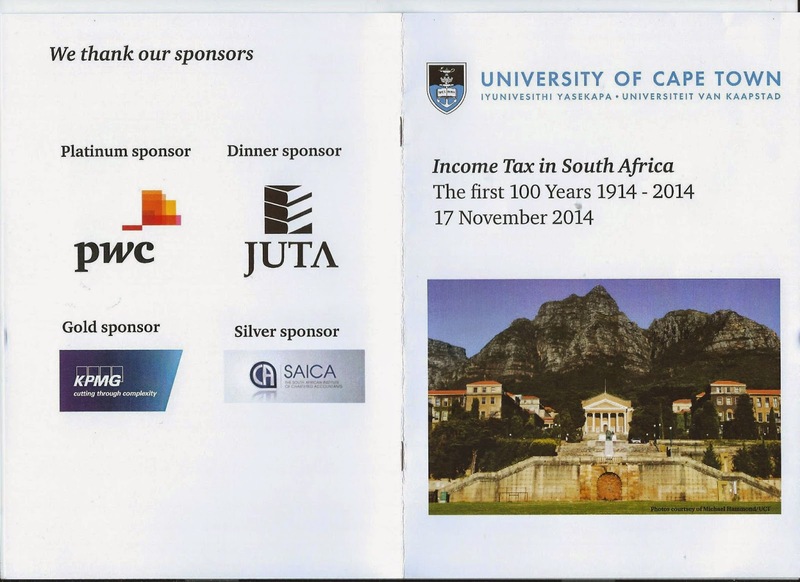 Thanks to the University of Cape Town's Professors Jennifer Roeleveld, Craig West and Johann Hattingh for an excellent conference and to Jutas Law Mr Wayne Staples and Ms Melanie Wagner for an entertaining Gala Dinner.